Join us for the Medical Visualisation Product Forge in collaboration with Toshiba Medical Visualization Systems Europe and Scottish Health Innovations Ltd from Thursday 2nd to Sunday 5th of November 2017 at CodeBase. Chris Oliver is the Professor of Physical Activity for Health at the University of Edinburgh. He has advised the WHO and Scottish Government on ways to reduce sedentary behaviour. He recently retired as consultant orthopaedic trauma surgeon at the Royal Infirmary of Edinburgh, where he also specialised in the management of chaos. He we will be speaking about empowering the #NextGen with world-changing tools to tackle major public health problems such as HIV, physical inactivity and motor vehicle injury. Enthusiastic, quick-learning UX designer turned Product Manager at FreeAgent. Kate has previously worked on MyGovScot, the Scottish Government's digital service designed for people in Scotland to access public services that are easy to find and simple to use. Robert Lewis has operational responsibility for both Advanced Development and Technology Development across Toshiba Medical in Edinburgh. A mathematician by background, Robert has 20 years’ international experience in software development, primarily leadership roles within the healthcare domain before joining TMVS in 2012. Gavin is the Project Lead and Senior Software Engineer at Toshiba Medical Visualization Systems. He is responsible for a variety of Image Analysis and Applications software projects related to Healthcare, CT and Ultrasound. Dominic is a sci-comms specialist with a base of technical, organisational, creative and interpersonal skills and a ten year successful track record as Project Manager delivering medical imaging software products. Currently he champions innovative thinking and Intellectual Property generation within Toshiba Medical, and pursues external collaborations and funding opportunities. His background is in Biology & Earth Sciences, supplemented by postgraduate-level study in Software Engineering & Medical Physics. Business Development Manager at Scottish Health Innovations Ltd.
David started his career in the British Army and travelled around the globe on numerous operations, before graduating from Abertay University with a Degree in Management. He has worked in Fitness, pharmaceuticals, then moved into oil and gas in 2007 where his career took him too many international operational hubs. Prior to joining SHIL, David held the position of Regional Business Manager for Houston based DISA Global Solutions for 3 years. Sheena has a degree in Economics and French and a post graduate diploma in marketing and European languages. Prior to joining SHIL she worked for a number of market research agencies. Latterly, Sheena worked on the English National Patient Survey programme, managing surveys across health care Trusts in England. This work provided patient feedback for both the Care Quality Commission and individual Trusts and was aimed at promoting patient centred care. What if I can't start on Thursday evening or attend all of the event? While we highly recommend attending all of the event, we understand that due to dependents, work or other commitments this isn't possible for all of our participants. The first thing to note is that participants can start the event late, either on Friday morning or Friday evening - in fact, we keep registration open until Friday 5pm. When you register you'll be asked when you can start, and late starting participants are supported by the mentors in forming new teams or joining an existing team. If there are other parts of the event you are unable to attend, the most important thing is to communicate this to your team and the lead mentor at the event so they can plan accordingly. This is an especially important issue to raise during team formation. One of the most important days is Sunday, where we have pitch run-throughs. We do ask that if you want to present to the audience on Sunday evening, that you attend the whole of Sunday in order for the mentors to help you develop your presentation. What is the situation with Intellectual Property (IP) at your events? We should stress that we are not lawyers or a law firm, and if you have concerns or specific issues, you should seek your own independent legal advice. However, neither Product Forge or our partners hold any IP rights to your project developed at the event, unless you have made a specific agreement to the contrary, and no such agreement is required to participate. The default situation is that you own what you build, and the default will hold true for almost all our participants; you will know if it doesn’t. It should be noted that ideas are presented in an open forum on Sunday, and given that ideas are not inherently protected (in the same way that your code, brand or other creative output is), you might consider this when deciding what to share at the event. That said, it’s our firm belief that projects are best developed in the open with external feedback, and most entrepreneurs err too much on the side of caution in this respect. With regard to IP issues within a team, one of the reasons we have strict limits on team sizes is that it is much easier to come to an agreement on IP after the event when there are a limited number of contributors. We can direct you to support after the event to help you with this. We strongly encourage project partners to release any data or source code that they are providing to our participants under an open source, commercially friendly licence (e.g. BSD/MIT, OGL, Creative Commons Attribution Only). Where this is not possible, there may be specific agreements required between you and our project partners to gain access to these resources, and such agreements may include clauses relating to your IP; however, you will not be required to access these resources in order to participate at the event. What happens to projects after the event? That's entirely up to you - you own what you build, and it's up to you how you would like to see it taken forward, or not. However we hope that as many teams as possible will continue development of their projects, or pass them over to someone else to keep them going. We'll help you connect with support after the event, and in some cases our project partners can provide access to funding. In terms of what actually has happened after a Product Forge, in the past teams have gone on to secure funding for their concept, or worked with one of our partners as a collaboration. In some cases they haven't pursued their initial idea, but are continuing to work on other projects together. It's a common critisism of events like ours that whilst they are lots of fun, nothing long term comes out. We've demonstrated time and again that this isn't the case at Product Forge. Why are you charging when other hackathons are free? Most hackathons run over 24 hours - ours last over three days and nights and the venue is kept open around the clock. Due to the costs of running an extended event and the problems of no-shows and drop-outs when providing complimentary tickets, we ask participants to pay a small cover charge to ensure they’re fully committed. Even on the basis of meals alone, we feel the tickets are more than value for money. Students can also apply for a concession of up to 80%, and in some circumstances, travel reimbursements can be provided. However, most people come to Product Forge to learn, or to prototype a new idea. At the end of the weekend you will have had hours of support and mentorship, and whatever you build is yours - neither Product Forge or our partners will hold any IP rights to your project. 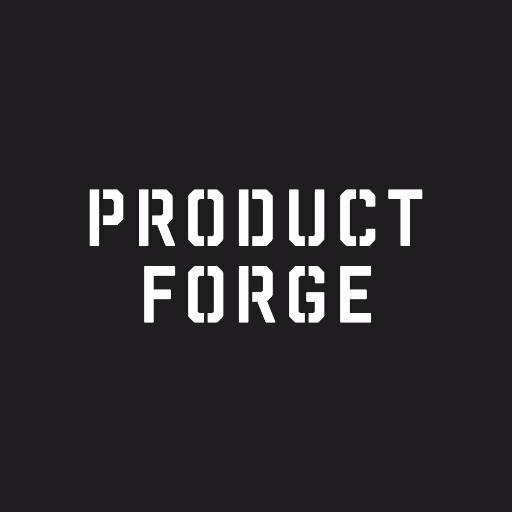 Is Product Forge a hackathon? One of our past participants said that Product Forge was the “hackathon with a twist!” What did they mean by that? Whilst we incorporate many of the same elements of a hackathon as you’d expect - the intensity of the experience, developing a technical prototype - we also expect our participants to consider the business case behind what they’re building. This, in our opinion, is the essence of product development, and closer to the experience you would have working in a startup. I am not technical, will I have anything to contribute? Yes, absoutely - Product Forge isn’t just about the developers! In fact, 50-60% of the participants at Product Forge are not technical, and are there instead to contribute business, design or other specialist knowledge. Whatever your background you’ll find something to contribute, and we’ll have mentors on hand to help you collaborate effectively with your team. Do I need to have an idea to come to the event? No, not at all! We’ll be providing plenty of support and inspiration to get you thinking creatively, and ideas are developed as teams. What if I already have a team, or what if I don't and I don't know anyone? Team formation happens at the event, and you don't need to know anyone else who is going. You'll quickly meet new people! Whilst you're welcome to attend the event with someone that you'd like to work with, we actively encourage participants to work with people they don't know. We also have strict guidelines on team size and teams need to have a balance of skills. Is this only for students, am I too old? No! Product Forge is open to all, and whilst it used to be true that the majority of our participants were university undergraduates, this is no longer the case. Most participants at Product Forge are subject matter experts, freelancers and other professionals. Due to other commitments you may not want or be able to attend into the early hours like some of the student participants - that's completely understandable, and we just ask that you attend the team check-ins and communicate your availability to us and your team-mates. We provide the food and drink, so all that is absolutely required is a laptop and lots of enthusiasm! If you're intending to stay late or sleep at the venue, please bring a sleeping bag, toiletries and a change of clothes. You may also want to consider bringing business cards and/or copies of your CV if you're hunting for work. Yes, [we have a code of conduct](http://productforge.io/code-of-conduct/) for which all attendees at our events are expected to abide by.